A modern Bed & Breakfast nestled under the top of Mt Victoria. 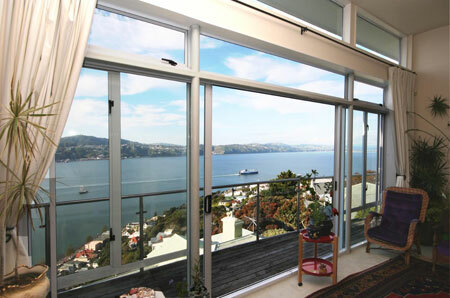 Relax on your own deck and enjoy the panorama of ships, ferries, yachts and tugs and enjoy the sun, peace and privacy of our warm modern home above Wellington's beautiful Oriental Bay. Or unwind and enjoy the fabulous view from your private sitting room with TV and refreshments etc. Panorama it surely was! Peg is a wonderful, helpful host who added so much to our trip to Wellington--from a culinary, historic and personal point of view. Breakfast omelettes-----mmmmmmm!! We felt so welcomed and looked after during our stay.